French newspaper with colour engravings "Le Petit Journal" from 4 June 1905 (larger). Inside a little text about these engravings. 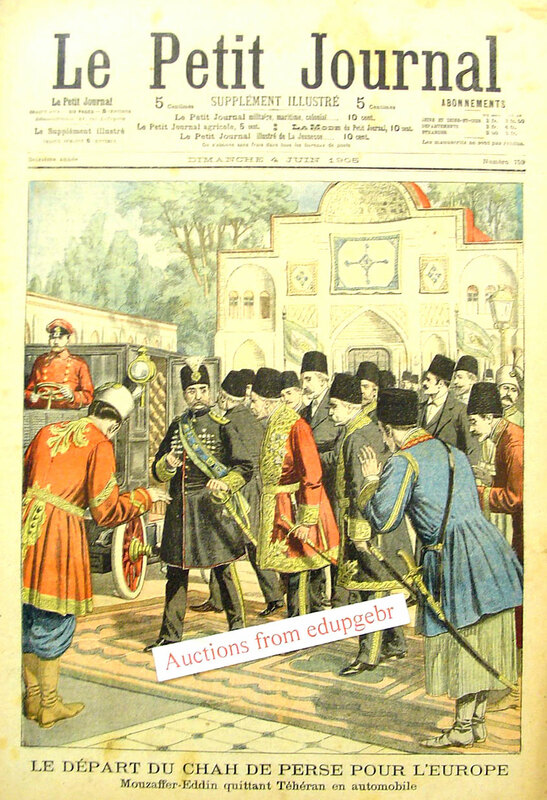 A textabout about the Shah of Persia Mouzaffer-Eddin in Tehran before his travel to Europe.